Challenger Tandem Bank first launched fixed-rate savings deals back in April, shortly after it bought Harrods Bank. Today, a refresh of its rates has pushed it ahead of rivals with a new best buy three-year deal paying 2.4 per cent plus competitive one and two-year fixed rate bonds paying 2.25 and two per cent respectively. The three-year rate doesn’t quite match Consumer Price Index inflation of 2.5 per cent, but it has still catapulted to the top of the independent This is Money savings tables. Competition from smaller banks, such as Tandem, Charter Savings Bank and Atom, is behind the momentum currently pushing rates higher. 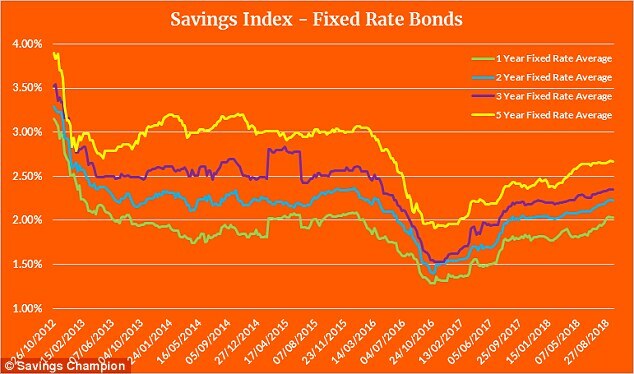 Fixed-rate bonds rates stand at their levels highest since 2016, according to figures from independent advice site, Savings Champion. Tandem bought Harrods Bank last year and has Financial Services Scheme Compensation protection which protects savers cash to the tune of £85,000. It has more than 250,000 customers, but the bank does not yet offer any easy-access savings accounts or Isas. It’s other offering is a cashback credit card that features in This is Money’s round-up of the top cards to use abroad. The challenger’s new three-year rate leapfrogs previous market-beating deals from Secure Trust Bank at 2.37 per cent and the newly launched 2.36 per cent rate from Charter Savings Bank. The bank has also added competitive one and two-year fixed rate bonds paying 2.25 and two per cent respectively. All three of the savings deals require a minimum £1,000 deposit and must be opened and managed online or via the bank’s smartphone app. The two-year deal sits second in the tables below Secure Trust Bank at 2.26 per cent. The one-year rate sits just 0.05 percentage points below the leading account from Investec, however this requires an opening balance of £25,000. A clutch of accounts sit at 2.03 per cent and 2.02 per cent requiring a smaller opening deposit including Charter Savings Bank, PCF Bank, Paragon Bank, ICICI Bank and Secure Trust Bank and a newly launched Al Rayan Bank. Savers who open a ICICI account through savings marketplace Raisin can earn up to £80 cashback too. Deposit £10,000 to earn an extra £20, £20,000 or more for £40 or £40,000 or more for £80. To currently beat inflation, you’ll have to fix for five years – the top deal is currently 2.69 per cent with Oaknorth Bank. While savings rates are still low, they are heading in the right direction. Fixed-term bond interest has reached a two-year high, according to figures from Savings Champion. Anna Bowes, co-founder, said: ‘The lesser known challenger banks have continued to inject much needed competition into the savings market over the last couple of years in particular. 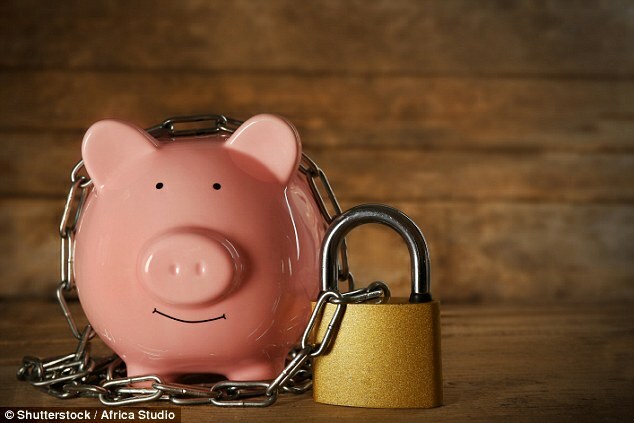 ‘They offer a lifeline to those who are prepared to move their money away from the high street banks, which have treated their savings customers badly for many years. ‘This competition has been particularly rife among best buy fixed-rate bonds. ‘Even the shorter term best buy fixed rate bonds are paying more than two per cent at the moment, which is the highest level we’ve for more than two years, although the increases have levelled off more recently. ‘Fixed-rate bonds are often priced independently and/or in advance of a base rate raise, so we don’t know how long this competition will continue.